The cold [in 1946 Warsaw] was so intense that like many others I took to wearing sheets of newspaper under my coat. There was hardly any public transportation, a few streetcars to whose sides people clung like flies on a lump of sugar, two or three buses, a few tiny cars with no windshield wipers, and perpetually fogged windows, and some motorbikes with wooden seats trapped on the front, from which, after the shortest ride, one toppled like a stone. 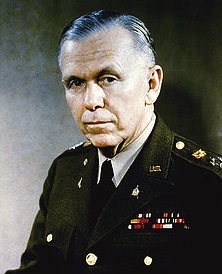 It wasn't until mid-1947 that United States Secretary of State George Catlett Marshall introduced an Economic Recovery Program (ERP) which aimed to "prevent the spread of communism in Western Europe and to stabilize the international order in a way favorable to the development of political democracy and free-market economies." All of Europe committed to the plan with the exceptions of the Soviet Bloc, Spain, and initially, West Germany. The Marshall Plan, as it came to be known, was characterized as a bold, expensive - over $13 billion in US dollars alone - highly successful foreign policy initiative. According to the the Marshall Foundation, "Sixteen nations, including Germany, became part of the [Marshall] program... European nations received... shipments of food, staples, fuel and machinery from the United States and later resulted in investment in industrial capacity in Europe." Within five years all participating countries had reached pre-war economies. Very much a business plan, it has been credited, in American history books anyway, with making the current European Union possible. Click on the video below to see footage of George Catlett Marshall testifying before Congress about the Marshall Plan in 1948. This "beyond the book article" relates to Lehrter Station. It originally ran in May 2012 and has been updated for the March 2013 paperback edition.